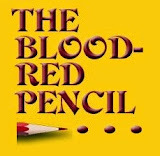 This post originally appeared at The Blood-Red Pencil on January 26, 2011, and since has been updated. Sadly, much of it still rings true for me! I published my romantic suspense, Killer Career, in August, 2009. When I was writing that manuscript, I was fortunate enough to enjoy a four-day work week, which gave me some, but not a whole lot of free hours to write. With the advent of economic uncertainty, my four-day work week turned into five. I barely had time to market Killer Career, perform my day job, and make attempts to continue my work in progress. I'd try to get pages done while commuting, but as soon as I got into the story, it was time to get off the commuter train. I also found other reasons for not completing my manuscript, such as books I'd rather read, or friends I'd like to converse with, while riding the train. When I got home, more often than not, I was too wiped out to do anything but relax with the DH and my dog. Those were my excuses for not completing another manuscript, but even then I suspected more was involved. I learned my suspicions were correct when I read The WAR of ART by Steven Pressfield, subtitled, Break Through the Blocks and Win Your Inner Creative Battles. In it, Pressfield explores an all too familiar bugaboo of mine and, I suspect others, known as Resistance. According to Pressfield, some of Resistance's traits, but not all, are: Invisible, Internal, Insidious, and Impersonal. From reading this book I realized I'm not the only author who battles fears. Two that I own are: Fear of continuing a manuscript because I might not be able to think of what will come next, and Fear of completing my manuscript and taking the chance of losing my dream that people will like it when they see it. With the advent of 2011, I lost my day job. Since then, I don't have the same excuses to fall back on. Supposedly, I have more time at my disposal, but marketing seems to take up a huge block, which before had been dedicated to writing. Still, I feel obligated to connect with writers and readers. Also, I'm lured by weird impulses to see to home projects, which have been neglected for too long. I had to give in and arrange for the painting and carpeting of the living room and dining room, which resulted in considerable chaos of displaced items. My desk happens to sit in the dining room, ordinarily a handy spot. Since losing my job, I did manage to eke out three more books: the thriller, Forever Young: Blessing or Curse, it's sequel, the Blessing or Curse Connection, and the romantic comedy, Her Handyman. Still, as I write this, I realize I could have accomplished much more. I need to get back on the bandwagon. My first priority should be to fight the good fight. To that end, I've resolved to type The End on the last page of a manuscript sometime in early 2014, and on another by the end of the same year. What about you? Do you suffer from the same fears and procrastinations? Or, do you have others you'd like to share? Experience the diversity & versatility of Morgan Mandel. For romantic comedy: Her Handyman & Girl of My Dreams. Thriller: Forever Young: Blessing or Curse. Short Stories Sequel: the Blessing or Curse Collection. 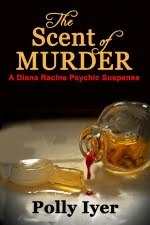 Romantic suspense: Killer Career. Mystery: Two Wrongs. 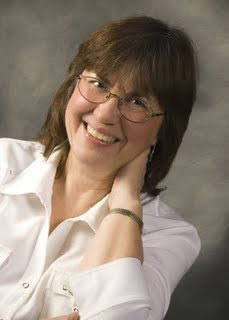 Twitter:@MorganMandel Websites: Morgan Mandel.Com & Chick Lit Faves. Very helpful post, Morgan. I knew about some fears that hold us back in our writing, but had not heard of being afraid to continue because we are afraid we might not think of what comes next. I guess that makes a good argument in favor of outlining. Morgan, I'm not a writer myself, just a book blogger, but wanted to offer a little encouragement and hoping this time will offer you good writing time and that things will open up for you in the future! Good post. 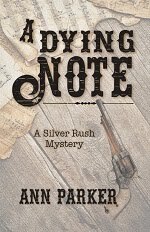 My first novel was published and I am now searching for an agent for my second novel. I have no fears of writing, ever. But I do suffer from another sort of barrier. After my first book was published (not self-published) I took an ice water dip: the reality that no one was going to sell my book for me. The amount of effort it takes to market a novel, with very little profit for oneself, is overwhelming. I run a business and I love to write. Who has time to market a novel? The only way I can make time is to take time from my continued writing (I'm presently writing a screenplay). I decided that with my second novel I will only go with a big publisher who will get it into book stores and libraries, or at least a publisher that has the desire to do so. That way I get some help marketing it. 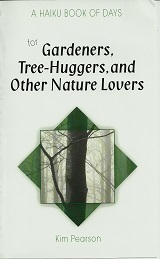 No more small publishers for me that don't do anything but print the book. Any comments? Oh, I am so there! I will take inspiration from your good fight, and hope to emulate with two WIP I've been dithering with for a while. I allow too much "business" come before my own writing. I'm trying to break the habit of other people's books coming before mine. Great post, Morgan. I think it's too easy if you don't have deadlines looming before you, not to get in the habit of writing. I've spent much of this month networking, but I should have dedicated some time to writing. I've allowed my seasonal blues to get in the way, and now I have a bunch of new book tours to work on, so I will be kicking myself a bit that I didn't take full advantage of my writing time in January. I'm off to write up my to-do list and see if I can refocus myself. Thanks for sharing Morgan. So much of what you say is true of me. But at least you're writing your blog. It's not fiction, but it's still writing. I find book promotion so consuming that even though I only freelance, I seldom find the time to even get to my blog. I haven't really stared my fears in the face, meaning I haven't stopped to think much about why I can't buckle down to the sequel I'm supposed to be writing, or get back to two other novels I started while writing The Tangled Web. I think it's because I know all else is lost when I'm writing. NOTHING else gets done, because I just can't stop once I've started. It's a ten to twelve hour a day, six and a half days a week deal for me when I'm submerged in a book. My only fear, that I'm aware of, is that I won't be able to finish the book. I'm awed by writers who start publicizing books they're still working on. How do they know they'll get to the finishing line? I don't have that kind of confidence. My biggest fear as a "recovering perfectionist" (haha) is releasing the work before doing the best possible job. There may be hundreds of agents, but not a one needs to take on something they think still needs work--there's just too much competition. And there's ALWAYS something else you can do to improve your manuscript! It's so much easier for me to determine ms readiness for my clients than it is for myself. Valko: I think we all have to feel our way into this industry and decide what we can and can't do, and what we're willing and unwilling to do. Sounds like you are tackling the journey with a healthy does of realism, to me. Good to know I'm not alone in my struggles! So true, but I'm my own worst enemy more often than not. I could certainly identify with your post - and fears - Morgan. I think the biggest one for me was wondering whether anyone would like the book once it got published and mixed with that was a little too much perfectionism. As it turns out, we've been getting wonderful responses from those who have read our book and if it still has a few errors in the editing department, no one has mentioned them! I like the blogs and books but I wish that when available for good deals on our ereaders that we all have the option to get them at that price. I for instance have a Knook Color but there are people who have Sonys and other ones besides the Kindle. 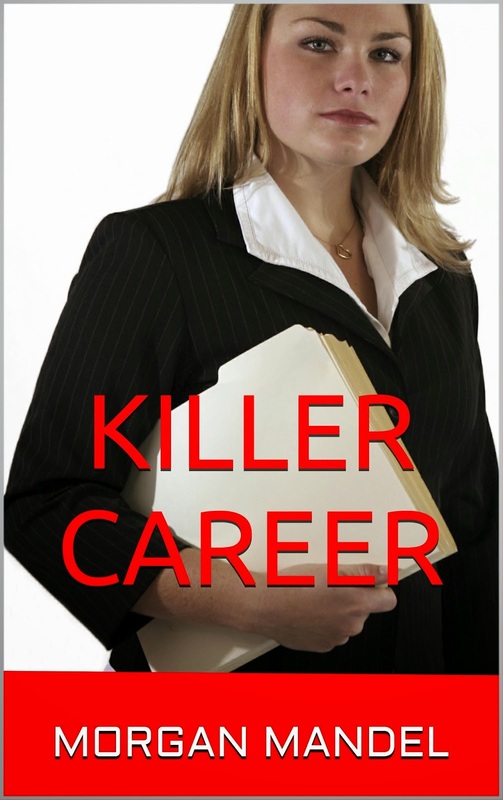 Killer Career is also on Smashwords. I probably should have mentioned that. All those readers WILL love every last thing you come up as you're writing. When you finish, you will have penned the world's first ever Perfect First Draft. It will all be cake from there. I have so many fears that it seems I will never get anything accomplished. Another good one is The Courage to Write by Ralph Keyes. Highly recommended. Oh goodness yes, but it's more a trying to get to it problem than a fear problem. Or maybe there is a fear - the fear of it not being perfect? This weekend, I will finish and finally write 'the end'. Still fighting the good fight. Way too many distractions today, going to Fitness Class, taking our dog into town. It's good to have the DH around, but not conducive to getting manuscripts done. Didn't write as much as I'd wanted, so I'm going to have to make up for it tomorrow. Can't let it slide. All authors face serious doubts, and if anyone says otherwise, don't believe them. The trick is to not look down. Just do it! With multiple kids in college I can't slow down from my 2 jobs. I had hoped that my writing could bring in enough money to make up for being unable to find full-time employment, but the IRS says I can't claim any expenses because it's a hobby, since I don't make enough to call it a job. Keeping up with promotion takes up a whole lotta time! Must learn to stop wasting 4-5 hours every night sleeping, THEN I'll have time to write! There's always something that comes before the writing. Usually that something could wait. I set priorities, then set aside those priorities. I'm glad to see I'm not alone. On the other hand, I'm jumping up and down and waving my hands. I know you see me. Yeah, that's me, yelling get back to work Morgan! I like what Maggie said...Don't look down and just do it! Very much true. I work as a translator and working something other than writing that is actually paying me back, it makes me comfortable and doubtful of my own passion which is writing. There are times before where I felt I don't want to write anymore, but after a few mishaps, I finally regain my passion back. Great post, Morgan! I think fear is a constant and often over-whelming fight. I know that I have similar fears to yours - the ability to not be able to continue a story and meet my own expectations. You have nothing to fear, my friend. Your talent is huge and I cannot wait to read more of your work! Thanks for this post, Morgan - you hit the nail on the head about what often stops me from diving into my manuscript. Hey, Diana (above) ... I'm with you! I found a very old manuscript I never completed, and am determined to whip it into shape! 2014: Get the final version of Treacherous Tango to press. 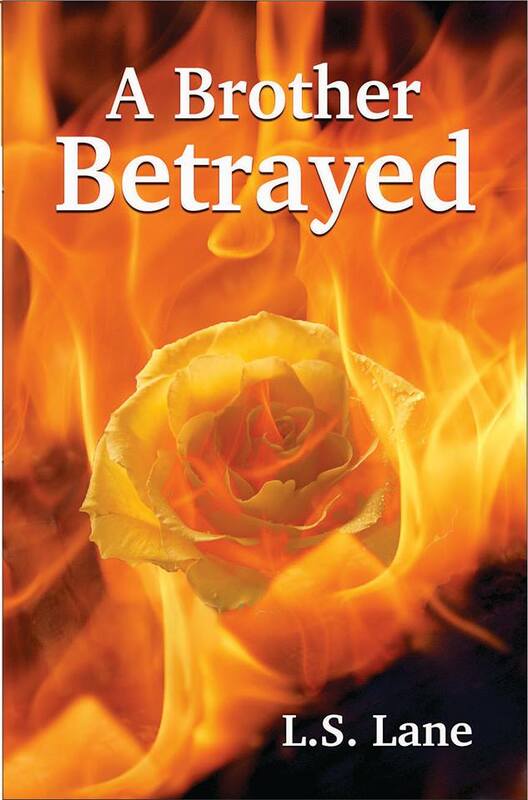 Reissue my first novel after a major overhaul. Finish the sequel to Tango. Work on at least one of the several novels I started years ago and whose characters still beg for closure to their stories. That should keep me occupied for the better part of the year, don't you think? Linda, you have your work cut out for you! Now, I don't feel as bad!